Comments: Janet Shiells (Nee: ) | St-Laurent QC Canada | 1851-1900 | Comments: Janet "Jessie" Shiells is seated on the left (middle row). 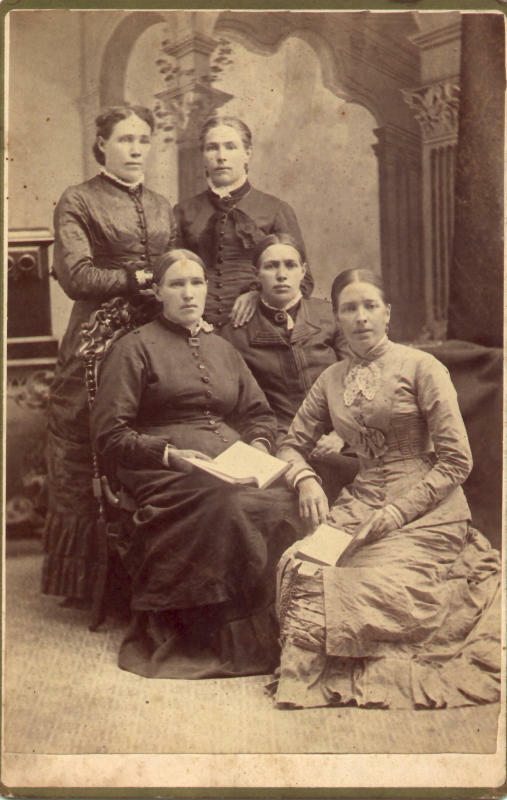 Her sister, Jane is standing (top row) on the left. The other sisters (not sure who is who) are Ann, Elizabeth & Euphemia Shiells. *Janet "Jessie" Shiells was born in 1835 in St-Laurent (near Montreal), Quebec to James Shiells & Agnes Nancy Boa. She married James Goudie and they moved to Ontario.